Making Conservation Work for You. Just a great little country fair that’s big on friendliness! We’ve been in love with Ossipee Fair since the first time we visited. 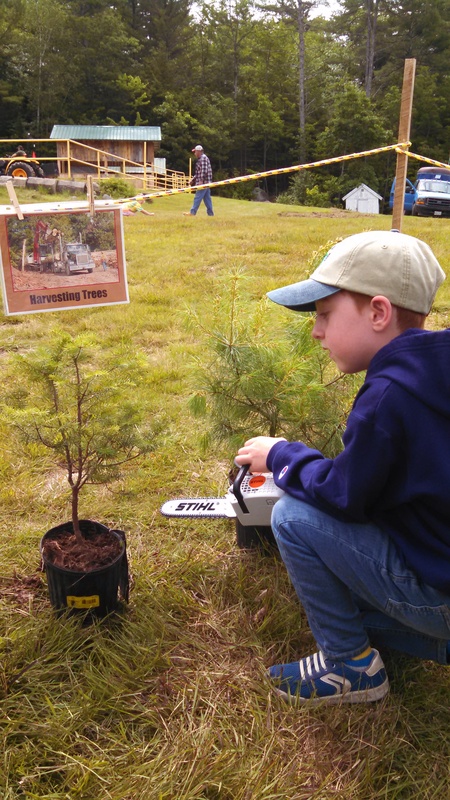 It’s always the first fair in the area, beginning in early July, and it’s become a yearly event to take our District display, along with any updates at the Tenmile River Demonstration Forest. In addition to the District, TRDF and Invasive Forest Pest display, this year I brought the new Envirothon fundraising info to let folks know about our Maine Envirothon program. The Invasive Forest Pest outreach done by the district to support the Maine Department of Agriculture, Conservation and Forestry has now become of vital importance in this area with the finding of EAB in the Acton and Lebanon area. Please visit us at the fair in 2019 and feel free to bring us photos of any suspicious invasive forest pest activity you may have seen. To learn more of what you should be on the look-out for, check out our Forestry page. 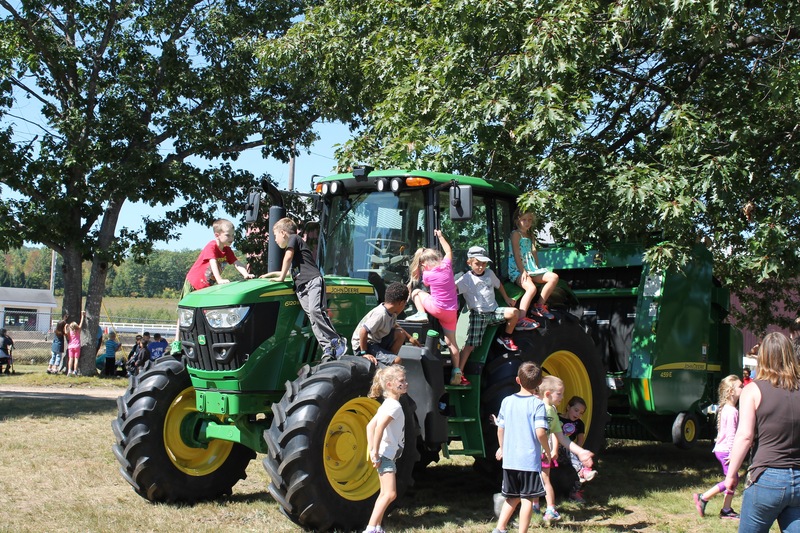 As a joint venture of Oxford County Soil & Water Conservation District and the Waterford Fair, Agriculture & Conservation Family Day is always held on the first day of Waterford Fair and admission is free to attendees from 9:30 am until Noon. A couple of years ago we changed this from a children’s event to a family event and what a difference it’s made! In addition to visiting with the animals and playing some games, the “Little Hands for Agriculture” and “Little Hands for Forestry” are wildly popular and almost as much fun to watch as to participate. The younger children learn the process of “farm to market” at both areas and get to purchase a treat with their hard-earned “money” at the end of this unique learning experience. But at “Little Hands for Forestry” it’s all about the chainsaw and the John Deere pedal tractor! In 2017 we added a new area for all ages – Marilyn Jones and Lorraine Hill told stories about the “good old days” while holding court at the “Little Hands” building, formerly the outhouse for the nearby church. Still maintaining it’s comfortable 3-hole seat, they told tales about growing up in rural areas and farms. This year Lorraine made Maybaskets and told stories about how much fun we used to have hanging Maybaskets on all our friends in the neighborhood. Maybe for the 2019 event we can convince some other old-timers to join in and tell about their childhood on farms and in rural areas. If you know someone you think might be interested, please let us know by calling Jeannie at 744-3119. There have been some big changes at Waterford Fair! The children’s events have been moved to the playground area to create a child-friendly atmosphere for all. Additions for the “Older Hands for Agriculture & Conservation History” program are in the works and the district will be working on a static display which could stay at the fairgrounds for the length of the fair. Many of the stations will be going from a “learning“ station to a demonstration or interactive format. There are new games ~ Jar Rubber Ring Toss ~ for children and adults. 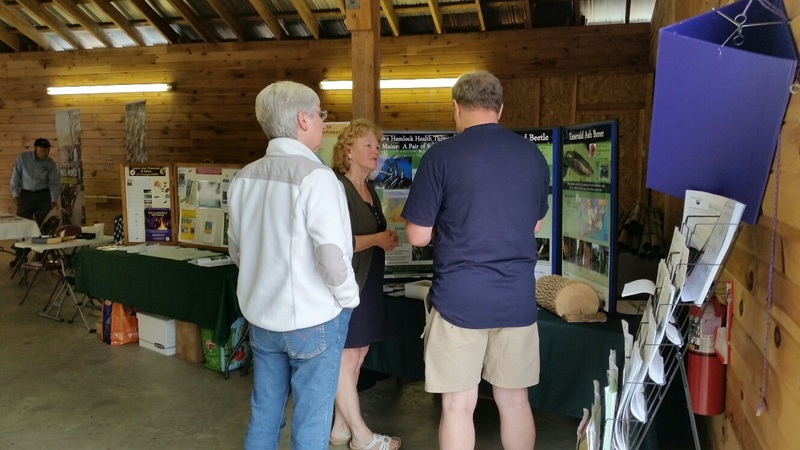 Each year, on the first day of Oxford Fair, Oxford County Soil & Water Conservation District and Oxford County Fair present Agriculture & Conservation Day. This is an amazing event with over 1000 students, teachers and support personnel attending! Children from pre-school to 6th grade are invited to attend free of charge and are supplied with age appropriate support materials to help make this a memorable event. Each year we provide support in a specific area of education and the topic for 2019 will be Soil to Spoon. Other spots for the children to visit include educational games: A Collection of Nature’s Gifts, Bear Facts, Nature Bingo and Butterfly Memory Game; The World Around Us: Fire Department, Police Department and First Aid, and lots of livestock and demonstrations. All together, over 50 sites for the children to visit! In addition, all of the children who are registered with us (and we request that they do register ahead of time) receive a “goody bag” with lots of great stuff donated by local businesses and organizations. The 2019 Agriculture & Conservation Day at Oxford Fair will be September 11th. See you there! Envirothon is a state and nationwide natural resource problem-solving competition for grades 9-12. Students compete outdoors in five natural resource areas: aquatics, forestry, soils, wildlife and a current national environmental issue. The teams are led by volunteer advisors who help students prepare for the tests. Winning teams from all over the state will meet to compete at the state level. The 2019 Southwest Regional Envirothon will be hosted by Andy Valley SWCD and will take place at Range Pond in Poland on May 7th. Go Teams! The 2019 Maine State Envirothon will be held at the Sportman’s Alliance in Augusta on May 31st. 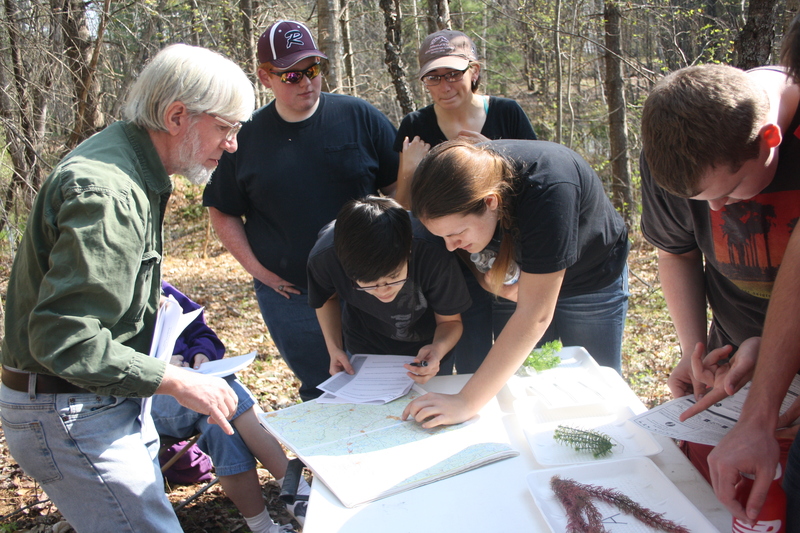 Envirothon Aquatics Curriculum Guidance – This document has clickable links to access further resource information, including many of those listed below.